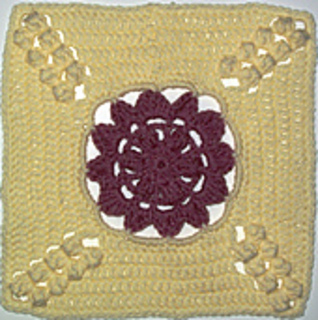 This 12X12 inch square features the popcorn stitch for added texture, with a lovely center motif. 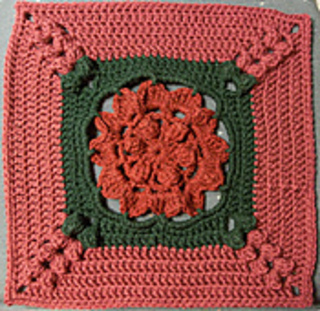 It would make a beautiful addition to your lapghan or afghan. Use your imagination for color combinations to create your own unique look. Stitches include sc, hdc, dc, tr, dtr, and popcorn. The 8X8 inch version of this pattern can be found HERE.